This text provides a structured and practical framework for understanding the complexities of contemporary public relations. It is an instructional book that guides the reader through the challenges of communication and problem solving across a range of organizations and cross-cultural settings. trends affecting the public relations profession throughout the world. Incorporating case studies and commentary to illustrate key principles and stimulate discussion, this book also highlights the different approaches professionals must consider in different contexts, from communicating with employees to liaising with external bodies, such as government agencies or the media. 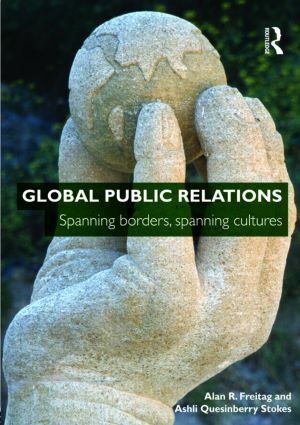 Offering a truly global perspective on the subject, Global Public Relations is essential reading for any student or practitioner interested in public relations excellence in a global setting.